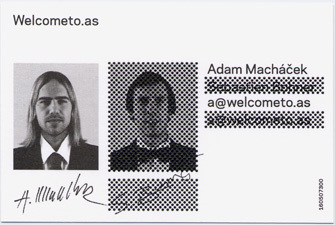 Adam Macháček and Sébastien Bohner first met during their intership at Studio Dumbar in The Hague in spring 2002. They met again incidentally the same year in Lausanne (Sebastien's hometown), where Adam made a one year scholarship at Ecal. 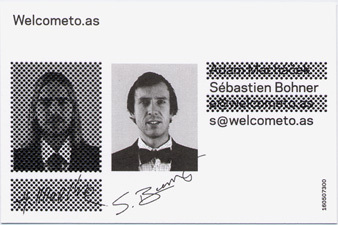 After working on few projects together, they established Welcometo.as in 2004.